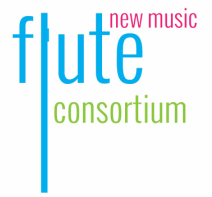 The Flute New Music Consortium was formed by flutists for the purpose of continuing to expand the flute repertoire. This project allows individuals to contribute a small amount yet share the bigger mission of encouraging new works from exemplary composers. Members live around the country and world and perform newly commissioned pieces and outstanding works from our composition competition in individual recitals, as well as FNMC organized events at regional and national flute festivals. All funds go towards financing commissioning projects. FNMC is designed as a participant driven organization. Artistic advisers and other FNMC leadership assist in day to day operations but all members are offered the opportunity to nominate composers and vote on commissioning projects. The Flute New Music Consortium, Inc. is a 501c3 nonprofit organization. All contributions are tax-deductible to the extent allowed by the law.